Among the hoards of tourists and city workers wandering around central London walks a figure unrecognisable to many, yet still idolised by millions across the world. After bombarding him with requests for an interview, Nashat Akram kindly invited me to join him for a coffee at his favourite spot in the capital. They say, “you should never meet your heroes” as the experience is often a disappointment, leaving you heartbroken. It was a risk I was prepared to take as I sat down with a player I’ve been watching throughout the entirety of his career, someone who I loved and often tried to emulate when playing football myself. In my bag was a gift given to me by a friend: a match worn Nashat – 5 – Iraq jersey, which I’d treasured for years. I brought it along with me for him to sign; it acted as a reminder that I wasn’t just there to interview him. Rather, I wanted to spend an hour with the person who gave me so much to smile about. 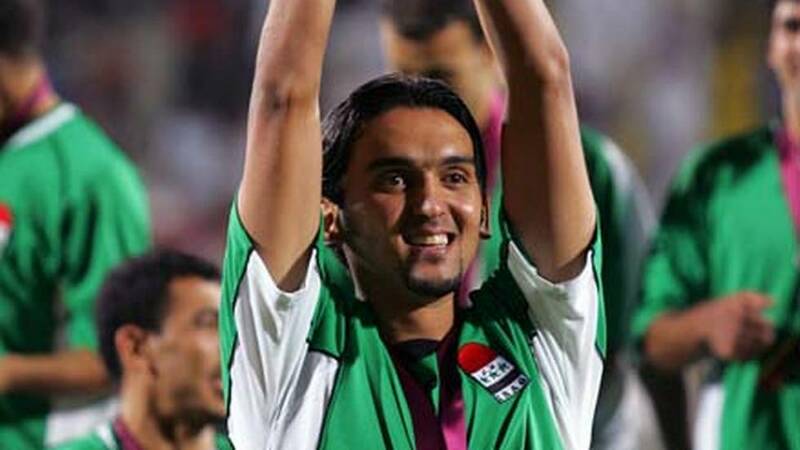 Someone who dragged Iraq to a 1-0 win against bitter-rivals Saudi Arabia in the Asian Cup 2007 final with a Man of the Match performance – arguably the best day of my life. It was a once in a lifetime opportunity to thank him in person for ‘that day’. Unlike nowadays, you wouldn’t receive a phone call notifying you of your call up. You’d just find out by picking up a newspaper or via your club. I never used to read newspapers – I still don’t – so the only way I could have found out was through Al Shorta. They informed me that I had training with the national team and that I would have to attend on a particular date. I felt quite excited and happy that I had achieved what I’d strived for over all those years. I was never scared at any point in my career though, and certainly not then. 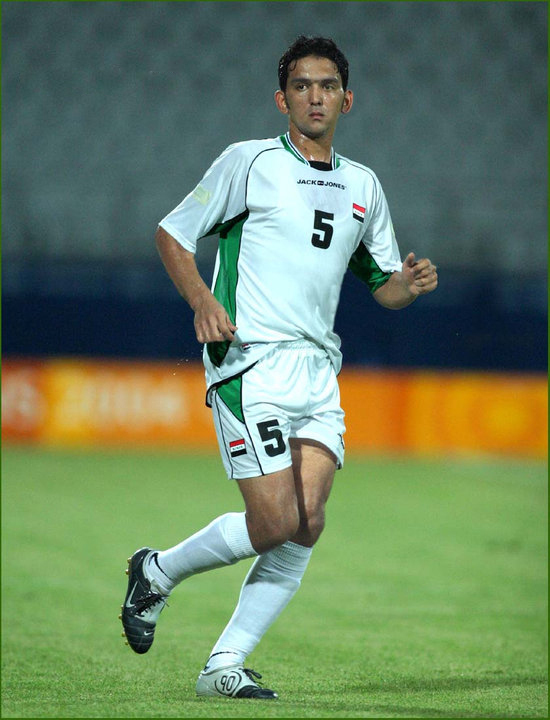 The first time I played for Iraq was against Saudi Arabia in 2001. I came on as a substitute and the only thing on my mind was that I had to leave a stamp over the match to get the manager’s attention. It was difficult as we were losing and the Saudi team was exceptional – they always qualified to the World Cup back then. I probably only touched the ball three or four times. The conditions didn’t just affect me individually but instead affected everyone involved with the team. We had to fly from Baghdad to Athens in a military plane. When we got there, it was as if we weren’t turning up as representatives of an entire nation at the world’s most popular sporting event, but more for a Sunday league match. The team had a mismatch of clothing – some Nike, some Adidas, Jack Jones – a plethora of brands that the players brought with them since we never actually had proper official team gear. The rules then stated that each team was only allowed to have one shirt sponsor, so we had to use patches to cover up any other labels on our kit. Even under all those circumstances, we still went there and had fun. At times, we rode our luck but it was an incredible experience. Nobody expected us to win any games beforehand as we had a tough group that included Portugal, Morocco and Costa Rica. Whenever you take part in a match, you have to give your all and go for the win – nobody wants to play for a loss. The group of players we had at the time shared the same positive attitude and played for their lives. We finished fourth in the world as a result. We wanted to reach the final but there’s no shame in what we achieved. Our achievements in that tournament will be remembered in history books forever. We’d won the first game and drawn then second, and all we needed was a point to qualify to the semi-final. Those in charge had wanted to avoid playing against UAE, as the tournament was held on their turf. They went and made a deal with the Saudi delegates to play for a draw and allow both teams to qualify. Everything that the players have spoken about regarding the incident is completely factual. 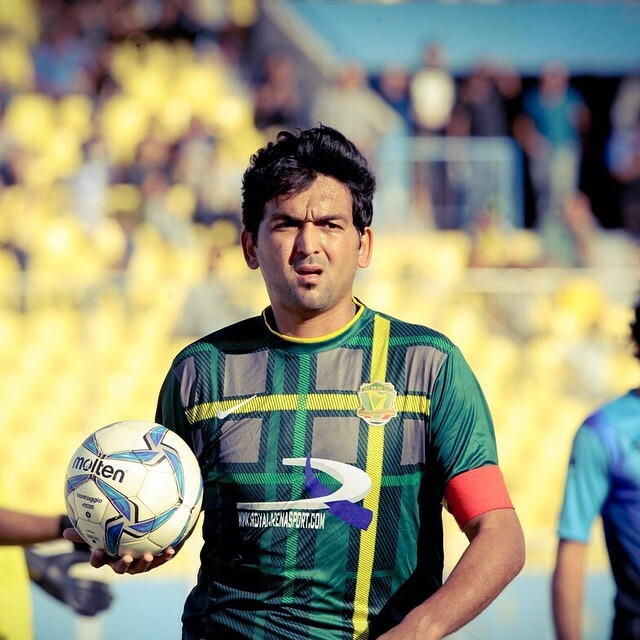 Akram Salman told our main striker Emad Mohammed: “don’t suddenly become a goal threat at my expense”. The goalkeeper asked Salman, “what if he’s [Emad] got a chance in front of goal?” and the manager replied, “score it, but don’t go off scoring a hundred”. Obviously, the players were confused. We ended up losing the game and crashing out – the Saudi players told us they were unaware of any agreement. Razzaq Farhan, Emad Mohammed and Ahmed Kadhum were suspended from the national team for two years following the incident. Emad ended up missing out on the Asian Cup. Our situation before the competition started was appalling in nearly every aspect you could imagine. We’d recently lost two matches against Korea and Uzbekistan. Prior to the tournament, the planning, organisation and team selections were woeful. We barely had any time to regroup before the tournament started too. Playing in the Gulf Cup of Nations just before the tournament did help with preparations though. We played four games there and then two friendlies afterwards, so at least that helped organise us in some form. Honestly speaking, I didn’t expect much from us in terms of progression after the difficulties we experienced. The squad turned up to the Asian Cup with only one shirt for each player. We had to wear the same shirt when we went out to eat and during travels. We only had the one match kit too! When you’re there seeing all the other teams turning up in the latest football gear and with facilities provided to them, and then you compare it to what you’re getting… Well, you can imagine what it was like. If I remember correctly, our group games were on the 7th, 13th and the 16th of July – I had already booked my ticket home on the 17th because I fully anticipated us getting knocked out early. When the Asian Cup started, we were slightly fortunate and drew against the weakest team in the group (Thailand). We then beat Australia 3-1 and soon realised that the potential was there for us to go the whole way. We all worked hard and it was a collective effort – the tournament won’t be remembered for any individual performances. If someone scored, it wasn’t about him. We knew we were a team and we appreciated the efforts of everybody, regardless of who scored, assisted, won the individual accolades, etc. Whoever did well knew that they couldn’t have done it without their teammates. Jorvan Vieira did well as the manager – he was realistic with his expectations and was very respectful to the players, who viewed him as a brother and a friend. However, there were other managers who did more for the team yet failed to succeed in terms of getting results for whatever reason. Whether the team wasn’t mentally prepared for games, was unlucky on that particular match, or for any other reason, it just didn’t work out for them. I’m still good friends with everyone in the squad, although not necessarily in contact with them on a daily basis. I do get in touch with them whenever I can. I wouldn’t pick any of them out as my closest friends from the group because they’re all my friends. The people I see most often are Hawar and Emad. There’s no one in the group whom I have a bad relationship with. I wont lie to you – In my experiences with the national team, probably 90% of the people in the squad didn’t get along. Even I got into arguments with friends like Younis Mahmoud. However, the team never let that get in the way of things and had a lot of fun together as a result. Obviously, there were many problems, but we’d never let them reach the media or public. Instead, we sorted things out amongst ourselves. That’s been the difference when compared to recent events. To play against the teams that are favourites for the tournament and get a draw can sometimes feel like you’ve taken all three points. We played against South Africa on their soil and drew, where 60% of our focus was on defensive tactics and the other 40% on attacking. Against Spain however, you obviously can’t afford to go head to head with them, otherwise they’ll destroy you. We played a very defensive game and lost to a single second half goal. A win against New Zealand would’ve qualified us to the next round. It was disappointing to only draw against them but it was a big result for the opposition, who celebrated their first ever point in an official FIFA tournament. 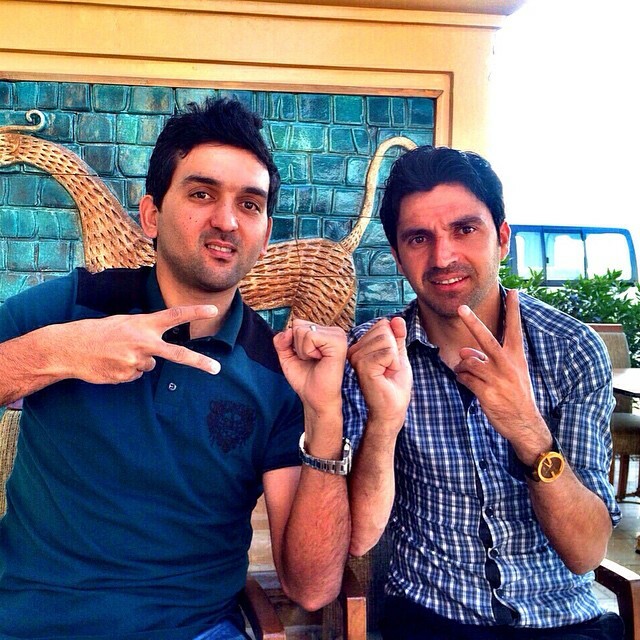 Many of the players were guilty of not converting chances – myself, Emad, Younis and Karrar. We missed loads of chances. Our game plan was contrasting with the previous matches – we went out to win the game from the start and continued attacking until the final whistle. Unfortunately, things didn’t work out in our favour. The team was in a good state throughout the tournament and we had a desire to do well. Our performance against Spain was proof of that. I feel like I had a good tournament too and made my presence known in the team, but you always look to improve further. It’s difficult to rank just how spectacular winning the league was with Al Shorta on my return in 2013. Each competition victory has a certain ‘taste’ that comes with it. It was nearly sixteen or seventeen years since Al Shorta had won the league. To go back to your first club and win the league against all odds was a beautiful moment for me. 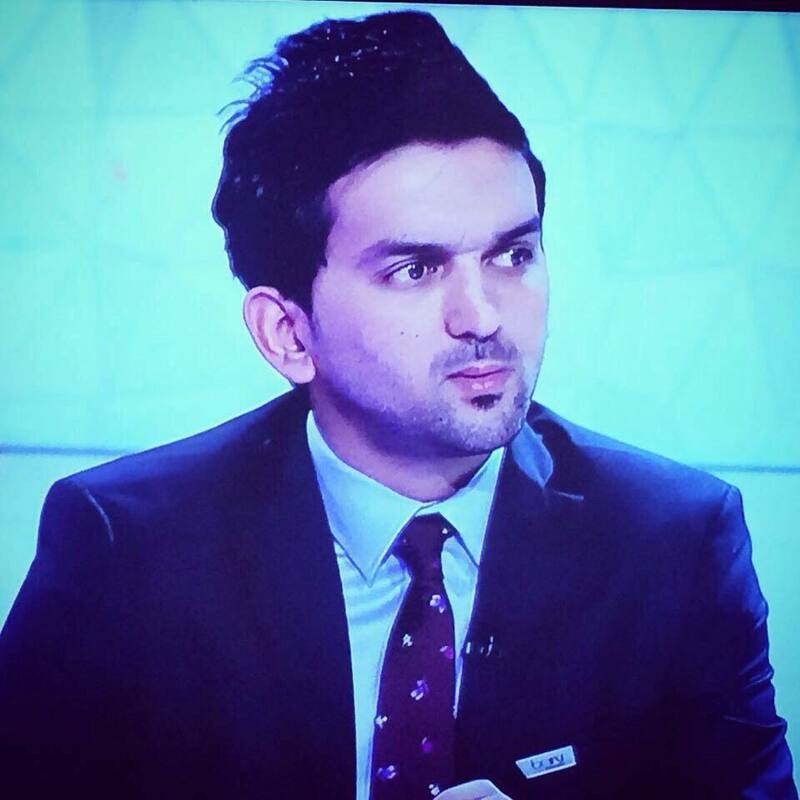 I was away from the Iraqi football for some time and it was sad to see that the state of the league was actually worse than when I first started my career some twenty years earlier. In truth, at this rate, things will continue to decline even if we waited another twenty years to fix them. 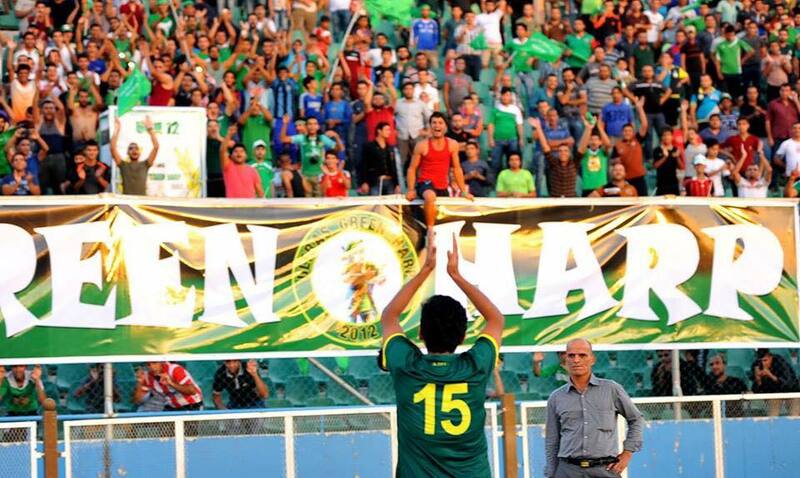 The people at the top of Iraqi football are not sportsmen and neither are they good administrators. I wouldn’t label it as corruption – rather, the people in charge simply don’t know what they’re doing. “You give the dough to the baker”. Whether it’s from the Ministry of Youth and Sport, the Iraqi Football Federation, or even the Olympic committee, there is poor planning everywhere. Players have to play outside the Iraqi league to progress, as the league is unorganised; the facilities are absent; there’s a lack of coverage of matches and the situation generally unsuitable for development. How can you produce international players under such conditions? Players have to make moves abroad. There were a lot of goals to choose from, so picking a favourite is impossible. Every goal has its own particular value. For example, there was the goal against Sierra Leone. Although it was a great finish from distance, to me that was just an ordinary goal. Other goals have more ‘taste’ to them – the two goals against Jordan in the World Cup 2014 Qualifiers come to mind. We were a goal down and turned the game around by scoring three in the second half. I scored the equaliser and the last goal to kill it off. Those goals had a lot of meaning and value attached to them. 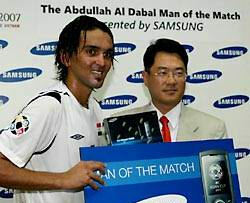 The team played well in the last Asian Cup and gave it their all. The Iraqi people can be very proud of the team. However, if we’re going to be honest, we were extremely fortunate throughout the tournament – especially against Iran. Iraq will probably qualify from the first group but I can’t see them making it through the next round. The conditions are far from ideal for the squad. Our biggest problem is that, whenever we have a game, everything revolves around “the Iraqi passion” and “defending Iraq’s dignity”. On the other hand, you have countries like Japan planning 35 years down the line to prepare for World Cup 2050. Whereas with us, we’re still boasting about being the ‘cradle of civilisation’ from over 4000 years ago, and winning the Asian Cup in 2007. They’re both done and dusted. What have we achieved since then? Everything that could’ve gone wrong has gone wrong. I’m saying this as someone who was in the team whilst it was all happening. The biggest disappointment of my career was losing to Qatar in the final group game, which happened during that period. It’s not like I’m distancing myself from it, but I’m simply giving an honest assessment. Those in charge of Iraqi football have to take responsibility and start planning for the future, whether in the FA or the ministry. Instead, you have fans blaming everything on Younis Mahmoud; he’s just another player in the squad. No doubt, he’s made some mistakes in his career but essentially, he’s the same as every other player in the national team. The problems are starting to become much more frequent and will continue to do so in the future, because those in charge are oblivious to what needs to be done. They’re ignorant and oblivious. There are problems already between players who play domestically and those abroad – the ‘expats’ – and that’s the result of mismanagement at the top. The term ‘expat’ in itself is offensive and should never be used. I’ve lived away from Iraq for years now – does that make me any less Iraqi than anyone else? I’d be very hurt if someone called me an expat. I’m an Iraqi. The fact that a player is prepared to turn up for his country is proof that he love his motherland. These issues are leading to disunity amongst the squad when there should be equality between all the players. You have some players receiving business class plane tickets to travel with the squad whilst others are given economy. It’s a farce. Yes, there are players who are talented, or those who have served the country and they should be appreciated for doing so, but that doesn’t mean you place them on a pedestal. Any behaviour that differentiates between players is offensive and dangerous to the squad harmony, as the team becomes divided. These problems will get even worse in the future – remember this! I don’t intend to sound pessimistic when I say this, but Iraq simply doesn’t deserve to play in the World Cup. There needs to be radical changes on all levels for the situation to improve. I always see comparisons between Yaser Kasim, and myself, which I’ve never understood. He’s a great footballer in his own right, but we have very different styles. Plus, I hope he goes on to achieve even more than I did. There are many good young players in the team, but my advice to them would to educate themselves and continuously look to improve. Not just with football, but away from football too. They should study as much as they can and look to progress as humans. They’re interlinked – players who develop their understanding of the world will naturally improve their understanding of football, thus can progress further as players. Amazing stuff bro. Keep up the good work…will be glad to help if ever needed. A fun and exciting read. Looking forward to part 2 ! Great article! Very well written. I’m glad you didn’t use filler material. Every sentence had something I didn’t know and something captivating. PS your site layout is great, glad you haven’t turned this into an 8 page article. Fantastic article. Is part 2 out any time soon? We apologise for the delay and hope you enjoy it. Please Share and leave feedback if possible. Thank you!